Horace Mann School was founded by Nicholas Murray Butler in 1887 as a coeducational experimental and developmental unit of Teachers College, Columbia University. 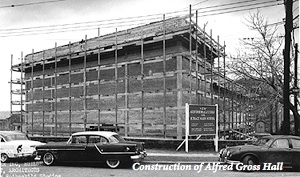 In 1947, it became an independent day school for boys in grades seven through twelve. The reestablishment of coeducation was accomplished through mergers with the New York School for Nursery Years in 1968, the Barnard School in 1972, and the enrollment of girls in the high school beginning in 1975. In 1887, a full year's tuition for a high school senior was $150. The School’s founding fathers named the school after Horace Mann (1796-1859). Horace Mann was a lawyer who served in the Massachusetts State Legislature. 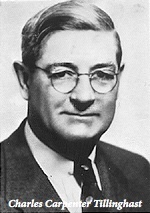 He was the first Secretary of the Massachusetts Board of Education, a Member of the United States House of Representatives, and President of Antioch College. He used each of his positions to proclaim that every person, regardless of their background, should receive a public education based on the principles and practices of a free society. He also proclaimed that slaves should be free, women should vote and the mentally ill should be cared for. Although Horace Mann’s ideas were revolutionary, he did play a leading role in establishing the elementary school system in the United States. 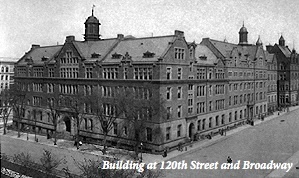 1894 Horace Mann School and Teachers College move into a single building on 120th Street. 1901 Horace Mann School moved into its own building at 120th Street and Broadway in Morningside Heights. The School was across the street from the former Bloomingdale Insane Asylum which was being used as a students’ dormitory at Teachers College. By this time, however, Horace Mann was becoming less of an experimental school for the students of Teachers College to try out their new ideas, and more of a well-recognized school in its own right. 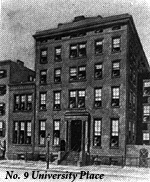 Teachers College eventually created the Lincoln School as a new co-educational school in which to practice their experimental teaching methods, leaving Horace Mann more and more independent. 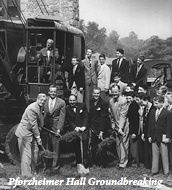 1909 Teachers College purchased lots on 246th Street in the Fieldston section of the Bronx. Alumni Field opened there as an athletic facility. The property is reported to have cost $20,001 which was paid for by Mr. Prettyman. 1914 Horace Mann School for Boys opened on 246th Street. Henry Carr Pearson became the Headmaster of the Horace Mann High School for Girls, still on 120th Street. 1972 Horace Mann merged with the Barnard School. Horace Mann Elementary school moved into the former Barnard facilities. To find out more about Horace Mann’s strong history, check out Horace Mann-Barnard: The First Hundred Years, by Harold J. Bauld and Jerome B. Kisslinger, copyright 1987.